Looking stunning on your wedding day is something no bride should have to give up. 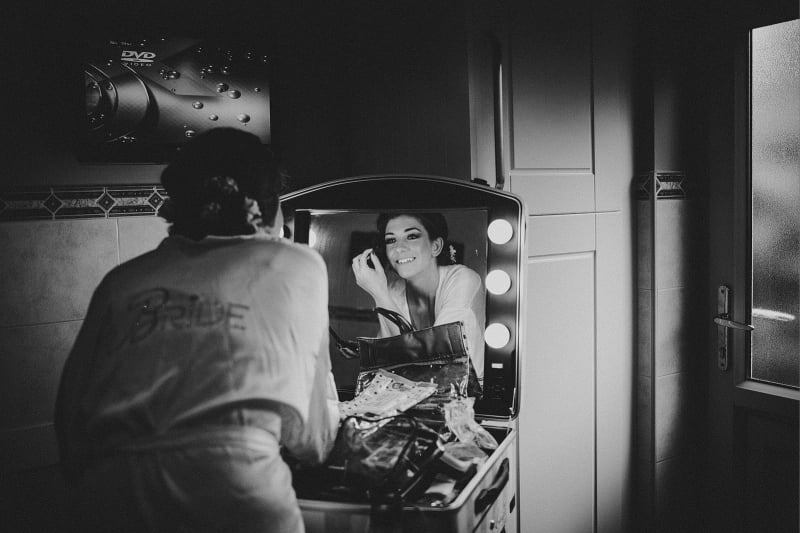 And although at Bridebook we believe it isn’t possible for happy brides to not look absolutely gorgeous (no matter the level of makeup), it’s always stress-relieving to know you have someone professional taking care of your hair and beauty. But how much does it all cost? What are the average wedding makeup prices? And hair? Fear not, we’ve put together your guide for wedding beauty costs, so you can go ahead and add this to your wedding budget once you have an idea of how much you want to spend! Expertise: Much like other wedding vendors, make-up artists and hairstylists will base their prices on their own experience. For example, a recently qualified or novice artist can charge £50 for doing your wedding makeup, whereas an experienced artist with an established reputation will charge £180 and above for bridal make-up. Location: You can have your hair and make-up done at a salon, or you can ask the stylists to come to you. Travelling to your stylist’s salon can be as much as £60 cheaper, as it doesn’t require any petrol, toll charges or extra time from the artist. Therefore, if your stylists are travelling to you, they will add the travel fees to their overall wedding makeup prices. Trials: If you are planning to have a make-up trial (which we strongly recommend you do) prior to hiring your artist, many will charge you, as the trials still use up both products and time. 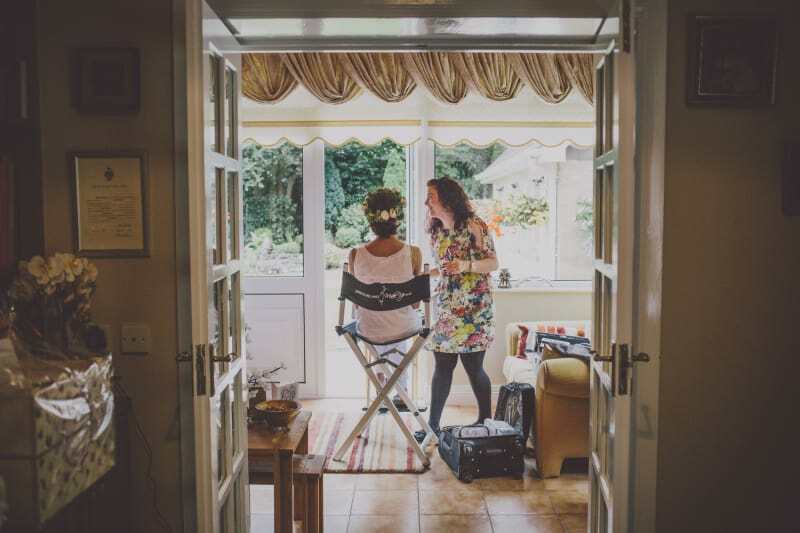 An experienced artist can charge you as much as £90-£150 for a trial, but many artists will have a package deal for the bride, which will include the trial and the make-up for the day, making the prices gentler on the budget. Novice stylists may give you a free trial and then just charge you for the styling on your W-Day. Need more makeup guidance? Discover the correct wedding makeup for your skin tone! Number of people: In addition to having their own make-up done, many brides like to treat their bridesmaids or mums to professionally done hair and/or make-up. As this does not require as much time as bridal make-up, almost all stylists will charge less, with a trial and day-of make-up for a bridesmaid or MOB coming to £85 in comparison to the bridal trial and day-of make-up at £175. Should your bridesmaids pay for that? Here’s what you bridesmaids should and shouldn’t pay for! 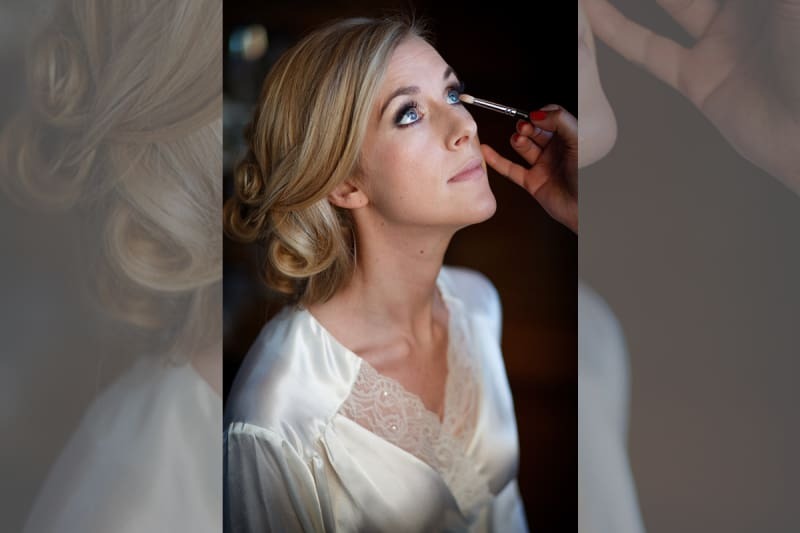 DIY Makeup: Many brides, including Kate Middleton herself, choose to do their own makeup for their wedding day. However, we would strongly advise you book a lesson beforehand, to learn some new techniques and to find out the best products for a long-lasting look. Head up to your favourite makeup counter, like Bobbi Brown or MAC and ask for some tips for free and stock up on some beauty products! Read our very own article with Bobbi Brown here to find out her wedding beauty tips. The price of your wedding hair styling will depend on the length of your hair and how elaborate you want your ‘do’ to be. Prices can vary from £100 for a trial and day-of styling, to £300 for a consultation, trial and day-of styling, so make sure to clarify exactly what your stylist’s wedding package includes and that it corresponds with the look you want come W-Day. Can’t decide how to wear your hair? Check out Hair Up Or Hair Down? We hope this answered your question on wedding makeup and hair prices! No matter how much you decide you should spend on wedding beauty, you can browse wedding beauty, hair and makeup specialists at Bridebook.co.uk!